The MacArthur Foundation recently named its 25 new 2008 MacArthur Fellows. Two writers made the cut, and the Free Library is proud to have a connection to both. Chimamanda Adichie’s Half of a Yellow Sun was on the 2008 One Book, One Philadelphia supplemental reading list for the featured selection, Dave Egger’s What is the What. Alex Ross, the other writer awarded with the genius grant, is a music critic for the New Yorker and will be visiting Parkway Central on November 20 as part of our Fall Author Events program. He will be interviewing John Adams, author of Hallelujah Junction: Composing an American Life. 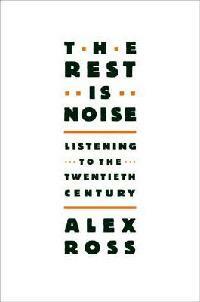 Ross's The Rest is Noise: Listening to the Twentieth Century studies the cultural history of music since 1900. 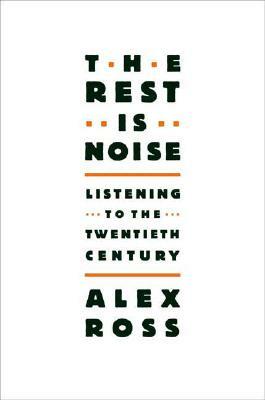 Ross has received two American Society of Composers, Authors, and Publisher’s Deems Taylor Awards, a Letter of Distinction from the American Music Center for his contributions to contemporary music, and the National Book Critics Circle Award for The Rest is Noise. Often referred to as the MacArthur “genius grant,” the program awards recipients with $500,000 over a five-year period. The Fellows must meet three points of criteria: “exceptional creativity, promise for important future advances based on a track record of significant accomplishment, and potential for the fellowship to facilitate subsequent creative work.” This year, the MacArthur Foundation awarded grants to an urban farmer and several doctors, scientists, musicians, and artists. Congratulations to all 25 recipients!